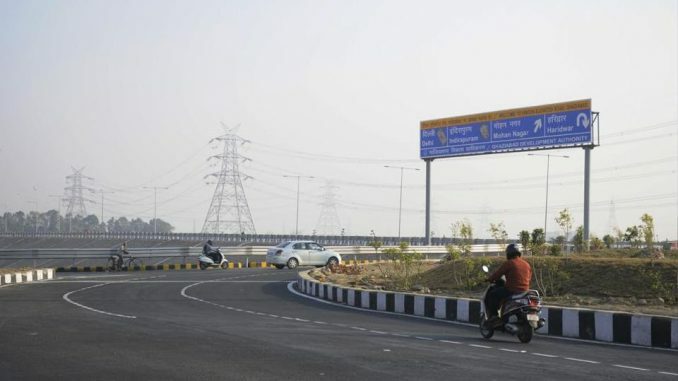 Rajamahendravaram: Panchayatraj and Rural Development Department Commissioner B Ramanjaneyulu on Thursday said the government is giving top priority for developing rural link roads by spending Rs 4,000 crore across the state. Speaking to reporters here, Ramanjaneyulu said of the total amount of Rs 4,000 crore, Rs 1,200 crore was allotted for developing link roads in Agency. Sarpanches were asked to play lead role to develop the villages as sufficient funds have been given to them. Out of 84 lakh job card holders, 64 lakh are working under the National Rural Employment Guarantee scheme (NREGS) and Rs 2,800 crore was spent in 2014-15, followed by Rs 4,000 crore 2015-16, Rs 4,500 crore in 2016-17 and Rs 6,000 crore in 2017-18. An action plan was devised to pay NREGS bills to a tune of Rs 169 crore as against Rs 197 crore relating to 45 days work and the government is very particular to generate more working days to needy under NREGS. Earlier, reviewing the implementation of development works with the officials at Anam Kala Kendram, he said the government has been laying 600 kms of new roads in one year. As many as 33 village panchayats selected as Mission Antyodaya out of 2,584 village panchayats in the state. 80 per cent of development was recorded in the district in all aspects. Collector Karthikeya Misra, Rampachodavaram ITDA Project Officer P S Dinesh Kumar, Etapaka ITDA Project Officer Abhishktha Kishore, Municipal Corporation Commissioner V V R Raju and sub-collector C M Saikanth Varma were present.